While you may see it as one of Toronto’s top attractions, you may not know that the CN Tower is also one of the city’s top corporate venues. While you may see it as one of Toronto’s top attractions, you may not know that the CN Tower is also one of the city’s top corporate venues. With flexible meeting rooms featuring the latest in high-tech communications, a private in-house theatre, and inspired hospitality services, it’s easy to see why.. A variety of venues makes the CN Tower the perfect choice for formal dining, receptions, casual meetings, product launches, corporate parties, festive season events, intimate gatherings and more! 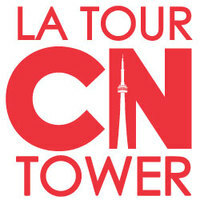 If you haven’t considered the CN Tower for your next event, it’s time to take a closer look.